Red Dead Redemption 2 will release worldwide next month on PlayStation 4 Xbox One. Developed by the creators of Grand Theft Auto V and Red Dead Redemption, Red Dead Redemption 2 is an epic tale of life in America’s unforgiving heartland. The game's vast and atmospheric world will also provide the foundation for a brand new online multiplayer experience. "With Red Dead Redemption 2, the team is working hard to push forward our vision for interactive entertainment in a truly living world," said Sam Houser, Founder of Rockstar Games. "We hope to deliver players an epic experience that builds upon everything we've learned making games." Rockstar and Sony have confirmed a Red Dead Redemption 2 PS4 Pro bundle is coming to the US and the UK. The bundle includes a 1TB Jet Black PS4 Pro system, a DualShock 4 wireless controller and Red Dead Redemption 2 on Blu-ray disc. Priced at $399.99 US & $499.99 Canada. UK also gets a choice of a smaller 500GB slim console bundle too. Red Dead Redemption 2 is built in the RAGE gaming engine using similar techniques to render characters that Grand Theft Auto V used. A big improvement from the first Red Dead Redemption game. Red Dead Redemption 2 is a western cowboy themed action adventure game developed it will be a prequel to the 2010 Red Dead Redemption game. You control Arthur Morgan, an outlaw member of the Van der Linde gang, from a third-person (and potentially first-person) perspective. We are excited to announce that Red Dead Redemption 2 will be released on October 26th 2018. We apologise to everyone disappointed by this delay. While we had hoped to have the game out sooner, we require a little extra time for polish. Red Dead Redemption 2 may launch on PC the original game didn't. A Rockstar employee's LinkedIn profile used to list Red Dead Redemption 2 as coming to PC. The original game was not launched on Pc due to the amount of piracy on the platform. Rockstar has announced a line of new physical items available at the launch of Red Dead Redemption 2. The Outlaw Essentials Collection is a new set features a variety of limited-edition collectibles. From stylish t-shirts to time-period articles like the Collapsible Shot Glass, Pendleton Blanket featuring the Van der Linde Gang, and Glass Decoupage Tray by John Derian are featured. Rockstar has announced it will be giving items away via the Rockstar Social Club, too. "Sticking with a single character felt more appropriate for the structure and narrative of a western," he explained. 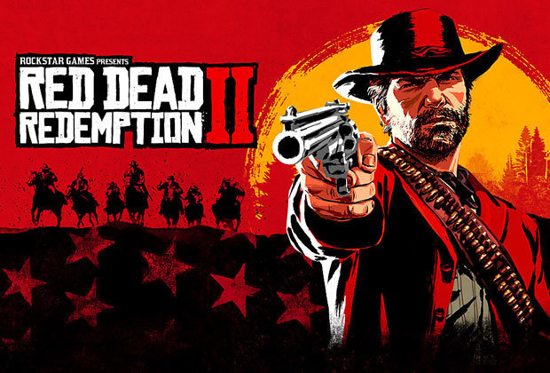 "Arthur lives with and fights alongside the other members of the Van der Linde gang, and they are a group of fully realized characters with relationships to each other and to Arthur, but this is Arthur’s story and we are placing players firmly in Arthur’s boots as he and the gang deal with a rapidly changing world. "We think people will really love the feeling of being in the gang. It isn’t like anything we’ve done before." Players will be free to explore the open world in online mode and it will be more active and lived-in than GTA Online's sandbox. Rockstar will "decorate storefronts with amenities and pack things away once night comes". Players can customise their modes. There will be a number of shops offering different ways for players too progress similarly to GTA Online. A mini poker game is included (like in RDR1) and a mobile app is in development for the Red Dead Redemption 2 online experience. The entire campaign and online mode will be playable in first-person. Eagle Eye makes a return with enhanced abilities including tracking bounties through fields and detecting which fish and animals are available nearby. Random Events appear to follow in the footsteps of Grand Theft Auto 5’s Strangers and Freaks. With bounty hunting quests, treasure hunts and adventures with a stranger. A Wanted level will be present in the game, similarly to Red Dead Redemption. Crime will also return with assaulting pedestrians is considering a low-severity crime while holding up a saloon and murdering everyone will be taken more serious.